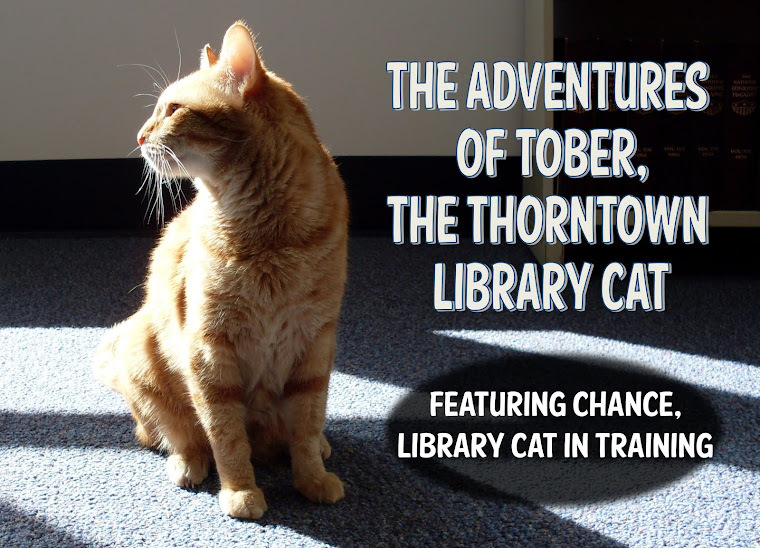 The Adventures of Tober, the Thorntown Library Cat: Happy Purrsday-Thursday! Oh, Tober, you have such a sweet purr! We miss you when you aren't blogging. Tober, we heard your purr! Cute how you were trying to get into the treats. hehehe! 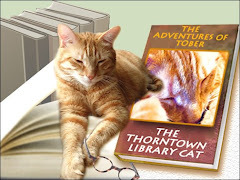 Oh, Tober, you have a lovely purr! I get in my human's face like that too when I am hungry! Great purr & I really like the way you made sure that everything on the desk was just right before going for your treats. Did you leaves some furs on the screen there? 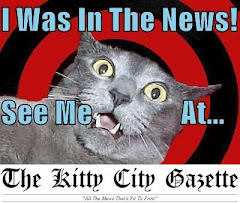 We loves the sound of your purrs!!! 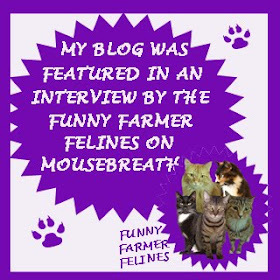 We liked hearing you purr, Tober! You are so sweet! We are glad you got the treats you wanted. Sammy-Joe says another good cat trick is to just lay right down on the keyboard when your human is typing! She might give you a treat just to get out of the way! We heard you! You have a great purr! We hope you got some good scritches for that too! We heard you! ...so, is that your CRAZY book?? ?